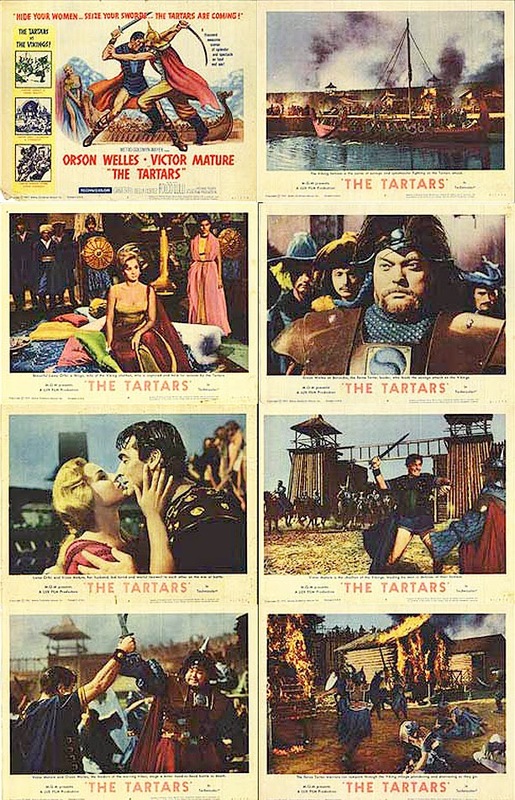 US lobby cards set for THE TARTARS; good set with 3 cards showcasing the actors. But card 2 and 8 (and the title card) are pretty poor and it would have been great if they had used those to show Bella Cortez or some of the many spectacular scenes. So it's average.